Northern Ireland’s biggest and best beach festival has just been announced to take place this summer as the world’s hottest DJs join the Ulster Orchestra to mark 50 years of partying in Portrush - all thanks to Kellys and Lush! Kellys Portrush/Lush! have announced plans for an all-new 12,000 capacity Beach Festival in their spiritual home of Portrush this summer and we can’t wait! Following the overwhelming success of the sell-out Lush! Classical shows at the SSE Arena Belfast and Ebrington Square, Derry/Londonderry for the Clipper Yacht Race celebrations, Lush! are now taking things to the next level with their Biggest classical show to date...taking the ‘Lush Classical’ concept outdoors with the North Coast’s stunning coastline as its backdrop. The event is in celebration of Kellys 50th year providing top-class entertainment for music fans across Northern Ireland…bringing it home to Portrush… can you imagine a better Summer evening?! Lush! Classical Live at the Beach will be staged on August 10, 2019, at Portrush’s famous East Strand and will feature some of the hottest dance acts on the planet collaborating with Northern Ireland's most accomplished classical musicians. 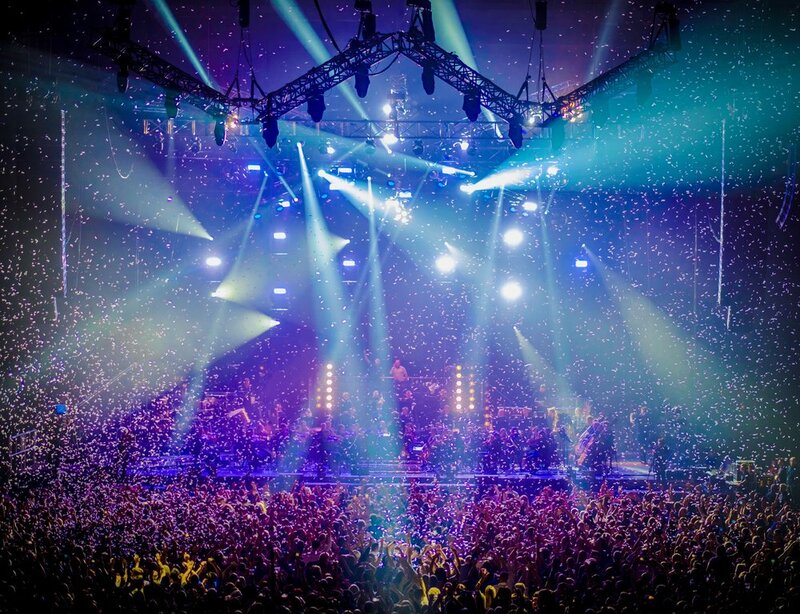 The event is part of a three-day music festival event in partnership with LSFX Productions. For generations of music-fans in Northern Ireland, Kellys in Portrush has always been synonymous with the biggest stars of the local and international dance scene filling the floors every weekend for the most enthusiastic revellers. We all remember uni nights spent dancing the night away in Kellys. Here at #TheFWords we are partial to a fancy doormat. I mean they clean your shoes, stop mud trailing through your home and they greet you every single time you step through the door so you might as well make it worth looking at, right?! 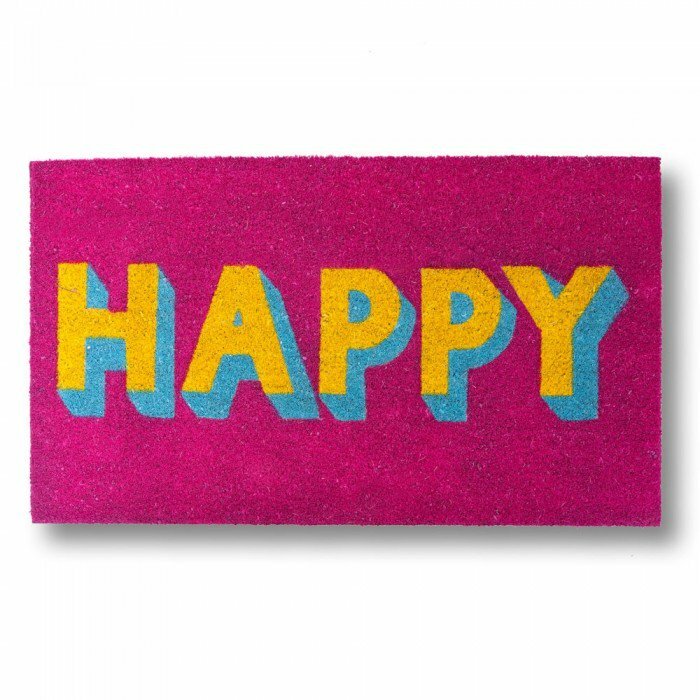 When I discovered these super-cute doormats at Red Candy I wanted them all (don’t worry, for once I was good and stopped myself at two…I mean obvs both doors should feel the fun-factor). The perfect first impression, guests (& delivery men/women alike) can’t help but smile and comment on my bright door display and every time I open my door I am greeted with something much cooler than the standard mundane beige mat (which is totally fine if that is your thing, but you all know I LOVE a bit of colour and so why should it not transgress to my front door mat as well?). FOLIO | ‘BOUNCERS’ IS THE RAUCOUS NEW COMEDY AT THE MAC... JUST DON’T WEAR TRAINERS! 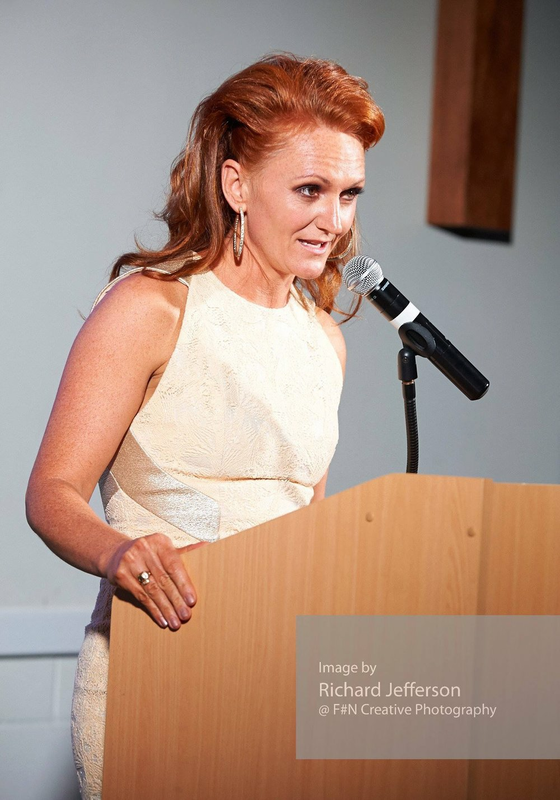 Belfast born image consultant, Ciara Lowe-Thiedeman now located in London guest blogs for us today about this season’s fashion trend “Conscious Consumption” – resurrecting the old, reducing the need for new! A long time promoter and host of upmarket recycling charity events, I got a little giddy when I saw Cathy’s insta story about #TheKindnessCollection. Showcasing and promoting recycling and encouraging people to ‘bring it back’ is a key way stylists can effect change in the fast fashion crisis. And hats off to Cathy for doing it large on the @BFW stage. Educating people how to update classic pieces in your wardrobe through styling may seem ‘small scale’ but if it makes us stop before we shop, it can only do some good –for the environment and for the charities that stand to benefit too. It was my 40th birthday that first sparked my idea to do something with my guilt of excess and my passion for recycled fashion, so I decided to celebrate this milestone by raising money and awareness for suicide and mental health charities – a cause close to my heart. A little idea to dig into my privileged friends’ wardrobes for their unloved high end items that grew arms and legs and raised over £30K, generated two trucks full of donated clothing and spawned a little documentary into the bargain. We had Beyoncé’s costume designer, Ruth Tarvydas attend and top end stylists queuing to style up old pieces for the catwalk. It was clear this kind of fashion fundraiser provided an opportunity for people to do their part to help more than one growing problem – excess consumption and underfunded charities. I have subsequently run smaller, more intimate ‘Bring and Buy’ events which I call “Excess Baggage Girls Nights In” where a group of 20 or so women gather at my house with their unwanted high end bags and clothes and we again rid ourselves of excess and buyer’s remorse while simultaneously raising funds and awareness for mental health. These nights always generate more than £2K and immense feedback about the opportunity to do good with our excesses – and bag a Balenciaga bag among other designer bargains! So it turns out Cathy’s decision to take action on dealing with ‘what to do with the old’ is perfectly timed. ‘Bringing it back’ and resurrecting vintage pieces sitting idle in your wardrobe (or someone else’s) is absolutely the new trend happening this season – bigger than ever before. I look forward to seeing what Cathy can do with the pieces she has gathered for #TheKindnessCollection and how she’ll style them up. Invest in a stylist. The rewards will last you a lifetime. A good stylist will get to know you and won’t recommend you spend your hard earned money on cheap, eco-unfriendly items, but will teach you how to ‘shop your wardrobe’ and get better use from what you already have. You’ll learn to pair or fill in gaps with quality styles and colours that suit you and best match your personality. A good stylist will encourage you to consider buying secondhand and give you tips on how best to do that. Your investment in a good stylist will ultimately save you significant time and cash, and quite possibly be a positive step towards helping save the planet. The Lyric Theatre and Bruiser Theatre Company’s current production of John Buchan and Alfred Hitchcock’s The 39 Steps is the perfect antidote to this week’s howling wind and rain outside, bringing back a brilliant and hilarious sell out show last seen here in 2016. .This fast-paced, action packed co-production, which runs from 02–31 March, features 4 fearless actors (Hannah Brackstone-Brown, Michael Condron, Michael Johnston and Benjamin Stratton) playing no fewer than 139 roles and delivering some of Hitchcock’s celebrated scenes including the train top chase and the Forth Bridge escape as well as many funny scenarios with belly-laugh accents and a few quick step choreography moments across the Highlands and lowlands of Scotland. As in John Buchan’s book, we follow the adventures of the dashing hero Richard Hannay as he grapples with dastardly murderers, double-crossing secret agents and devastatingly beautiful women; narrowly escaping from a succession of hair-raising escapades and hooting with laughter as he and his fellow characters deliver some absolutely great one-liners. The casting is excellent and delivery, wonderful. It’s sunny and spring-like but still cold; and my lacklustre skin needed a boost of hydration and well as some glow, so I took up the invitation to go see Lisa at ENVY Aesthetic Skin Clinic in Crumlin for an Environ Hydraboost facial. It has been almost two years since I had this treatment (with lovely Claire Duff in Dunmurry) so it was great to get the opportunity to have another one, as I recall my skin looking (and feeling) pretty darn perfect last time. Formulated by Dr Des Fernandes, the world-renowned plastic surgeon, this intensive treatment already has an army of fans including Elle McPherson, and is said to be the perfect antidote to dehydrated skin – so it’s exactly what I needed. It is a deeply intensive facial but not bank-breaking, at £65. It hydrates, plumps and firms the skin, but be aware, this is more of a treatment than a ‘treat’. It’s definitely not one of those facials you lie back and relax during – the mask is thick and covers the eyes and lips, so you cant see or speak during it, but I actually found that quite liberating! Plus the glowing skin afterwards makes the masque worth it. The products used contain a high percentage of Vitamin A which promotes the production of healthy collagen and elastin – helping to improve the appearance of fine lines as well as lightening pigmentation and improving skin tone. The whole range of Environ Skin Care is packed with powerful antioxidants that protect and nourish skin and, after a skin consultation, Lisa tailored the products to my own skin type. We kick started with a dual action pre cleansing oil, a gentle plant oil based pre cleanser that helps dissolve excess surface oil whilst maintaining the natural acid level of the skin. Lisa told me that he best thing to get rid of any pesky blackheads on my nose is to use oil products on there – a new tip for me, as I was avoiding adding oil to what is already an obvious build up of sebum, but Lisa’s theory sounds totally logical, so I am definitely going to try that from now on! Next up, we used a botanical infused moisturising toner which contains special ingredients that work in synergy with the environ products to assist in moisturising the skin and improve the appearance of uneven skin tone. Then with double-cleansing done, it was time for the first of the treatment products to go on, and so Lisa added the A C E treatment gel which facilitates sonophoresis (that’s the ultrasound waves to you and me!). Next, an intensive hydrating serum which holds up to 1000 times its weight in water is applied over the face. Then, a ceramic wand is glided over the skin, using ultrasound waves to help the hydrating serum penetrate 4000 times deeper into the skin, than by application by hand. After this, there was a hydrating clay mask, which absorbs excess oils and impurities and micro exfoliates to refine appearance of skin. Then, the pièce de la resistance – the nutrient-rich alginate masque. Please note before booking that this masque is really thick and covers both the eyes and the mouth; it’s very strange sensation and one that doesn’t seem to suit everyone apparently as only small holes for the nostrils are left for breathing. This super thick glutenous textured masque is made up of all natural ingredients, including fresh water algi extract (algin) which obstructs transepidermal water loss to increase hydration in the skin. Ultrasound probes are then attached to the edges and they gently pulse electrical currents through the mask. These gentle currents are impalpable and really help to restore skin by penetrating the layers of epidermis and dermis much more effectively than a topical cream. This part of the treatment lasts for about 10 minutes but apparently it’s about 70 regular facials-worth of treatment, and so it’s a good time to just concentrate on breathing and meditation while environ works its magic. To finish off, Lisa applied some vita peptide eye gel. And, according to Lisa, peptides are the business when it comes to eye wrinkles. The eye gel also contains argireline ( friendly botox ) as well as anti oxidants and Vitamins C & E. Again, this product is available in salon only and retails at £57.00 Finally, some Environ Sun Care RAD - a revolutionary SPF15 antioxidant sunscreen which protects from both UVA and UVB irradiation. It’s a combination of sun filters and reflectants to provide medical grade SPF15, while natural anti oxidant vitamins increase sun protection and assist in fighting against free radicals. I upgraded my visit to include a full body massage as well and Lisa used the Eve Taylor London products, which are pre blended aromatherapy essential oils, totally balanced for hydration. After two hours lying down and a blast of vertigo the week before, I was very slightly dizzy getting up, but Lisa gentry propped me up and made me drink 500ml water before dressing slowly and heading on my way. I think I will have the sleep of my life tonight… And I look forward to looking in the mirror tomorrow! NB: This treatment was #gifted, but regular readers will know that I will always give an honest opinion, whether gifted or not! Take in a show at the MAC, The Lyric or The Grand Opera House. Each of these venues provides a fab backdrop and interesting architecture as well as the shows on the stage. At The MAC, “Ubu the King” is grotesque, gruesome and hilariously absurd. Inspired by Alfred Jarry’s Ubu Roi, which caused a riot in Paris in 1906, Tinderbox Theatre Company dares to bring the primal monster to life through a succulent feast of sheer inventiveness and fearless theatricality. A feast for the wicked. And down at The Opera House, the international, award-winning smash-hit musical based on the blockbuster film, THE BODYGUARD is back and features three-time Brit nominee and X-Factor winner, Alexandra Burke. Former Secret Service agent turned bodyguard, Frank Farmer, is hired to protect superstar Rachel Marron (Burke) from an unknown stalker. Each expects to be in charge – what they don’t expect is to fall in love. I recently saw the Leonardo DaVinci exhibition at the Ulster Museum, which is awe-inspiring when you think just how influential he has been on modern art and science, among other subjects….. but there is also a Game of Thrones Tapestry exhibition on at the Museum too. Weaving the story from Seasons 1 to 7, this impressive tapestry gives Game of Thrones® fans the perfect chance to reminisce over all the action that led to the finale of Season 7, with further panels depicting the story of Season 8 due to be added to the tapestry in June 2019. And even if you’re not a GOT fan, feel some pride in the fact that it was designed locally by hand but woven by a state-of-the-art machines and hand finished in Northern Ireland. The linen used to form the background of the tapestry has been sourced from Ferguson’s Irish Linen, one of the last surviving linen mills in Ireland – and as a former marketeer of Irish Linen, I am intrigued to see this piece of work. There are lots of other galleries and art-filled places to see in the city too – and a personal fave of mine is at the Ulster University art/textiles students’ shop at the Belfast campus too. I haven’t even been here yet and I’m recommending it; such is my trust in so many foodie friends’ judgement. Brunch at Freight Belfast – formerly Pot, Kettle, Black - is reputedly delicious with a capital D. Located in the C.S. Lewis Square in east Belfast, five converted shipping containers house one of Belfast’s most talked about eating spots and I am most definitely making a date to eat there this weekend myself. Another great brunch venue, but back in the city centre, is AM:PM. Positioned at the epicentre of all that happens in Belfast both literally and metaphorically, AM:PM is unique, quaint, chic, cosy, opulent, and funky. These descriptions almost-but-not-quite describe how fab this place is. You will find the shabby chic rubbing shoulders with the classically demur. Brunch or lunch at Café Parisien is definitely dining with a view, although I’d recommend it anytime from dawn ‘til dusk for the truly wonderful French cuisine – from delicious morning crepes to bistrot dishes and succulent steak au poivre. And the house wine isn’t bad either! For some physical activity, why not hire Belfast Bikes or let your feet do the talking and take to the towpath or the seafront paths – breathing in some fresh air while you’re at it. If the weather’s bad (and it’s kinda likely, considering this is Ireland) then pop into Flow Yoga studio in Hill Street for a stretch and some zen time. 5. SHOP TIL YA DROP! Visit Victoria Square, CastleCourt, Donegal Place and out of town areas like the Lisburn Road or Bloomfield Avenue are great places to soak up some retail therapy. My personal favourite in the city for a girlie get together, spa-style, is the Merchant Hotel Spa, where the therapists are highly trained and super knowledgeable. Plus, the sauna and relaxation areas are perfect places to really get away from it all. But having said that, there are loads of great salons and spas across the city, and getting a booking for a group shouldn’t be to hard if you plan in advance. Be a tourist in your own city and take a tour of The Tropical Ravine and The Palm House in Botanic Gardens. The Palm House contains a range of tropical plants, hanging baskets, seasonal displays and birds of paradise, and is one of the earliest examples of a Victorian style glasshouse made from curved iron and glass. The building was designed by Sir Charles Lanyon, who also helped design parts of nearby Queen's University. Across the paths lies the Tropical Ravine, which contains some of the oldest seed plants around today, as well as banana, cinnamon, bromeliad and orchid plants. The listed building dates back to 1887 and has been restored with many of its original Victorian features reinstated and preserved. The ravine is split over two levels with an open reception area on the ground floor, and the building has been modernised to make it more energy efficient with new triple-glazed windows installed to retain heat and create the right environment for the tropical plants it is home to. Visitors can learn about the conservation work and plant collection through interactive and digital exhibits. And, final point on both these places? They’re both fab backdrops for insta-perfect pics! I’d recommend Patisserie Valerie on Donegall Square West, where you can enjoy the unique café atmosphere including the now famous Toulouse-Lautrec style cartoons by Terron. In their havens of self-indulgence, you will discover only the best quality cakes and patisserie, continental breakfasts, lunches, the finest teas and coffees and an atmosphere that is unique to each location. Across the road, Hotel Chocolat offers wonderous chocolate treats and hot chocolate drinks while out of town and up the Lisburn Road, you’ll find Miel et Moi, which is inspired by classical French patisseries… This truly is a little bit of Parisian Paradise in the city with its enchanting afternoon teas, delicious dishes, scrumptious cakes and delightful cocktails. Even though I rarely eat bread and cakes myself, the ultimate afternoon tea experience for me is at the Merchant Hotel. Set in the sumptuous splendour of The Great Room Restaurant, Afternoon Tea in The Merchant Hotel is a truly elegant and utterly delicious experience not to be missed. Complete with a bottle of Krug Champagne and Royal Beluga Caviar, it really is the height of indulgent luxury. A group lesson or make up application at Paddy McGurgan’s Make Up Pro store is the perfect experience for anyone who wants to gain an insight into their own makeup routine or just get ready for a night out with friends. The Perch Rooftop Bar is located on the fifth floor of a historic building and has a beautiful large centre bar, surrounded by original window features, original brick clad walls and adorned, of course, with birdcages and similarly themed artwork lending itself to the name. Nip up in the original sliding door lift and find yourself looking over the sights of Belfast whilst sipping a cocktail in the outdoor area or take a perch at the bar and sample some delicious beer and gins. The Morgan Hotel in Dublin City Centre was the setting for the tenth anniversary press launch, and guests were greeted with delicious breakfast nibbles, fresh juices and warming coffee by the gallon, while we previewed some of the upcoming collections and had a chance to meet a few of the designers showcasing at the main event. There is nothing I love more than being in a room filled with passion about Irish design, sustainable fashion, craftsmanship and creativity. Knitwear made a strong statement, particularly in the work of Colin Burke who has featured in Elle magazine. He showcased an array of highly skilled hand crochet and knit alongside innovative design development. An exploration of texture is always a winning trend and Colin has unsurprisingly been named in the One to Watch category alongside Charlotte Lucas, who showcased part of her elegant, effortless and luxurious bridal capsule. A beautiful mix of flirty feathers and bespoke tailoring. 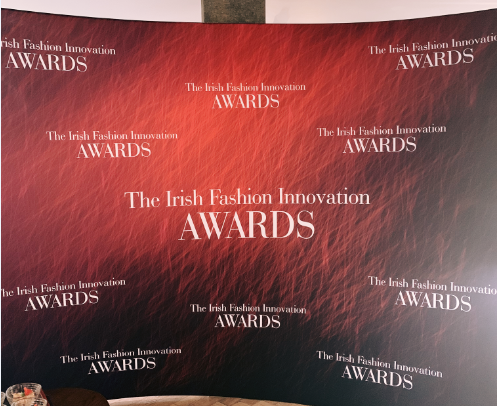 In addition to the several competitive categories in Fashion, Accessories, Millinery and Jewellery, the evening will feature “The Perfect 10” – which will comprise of ten leading Irish designers featuring their unique designs. Meaning this ten-year anniversary is sure to be a stand out night with a spectacular display from Ireland’s more promising designers, a platform to showcase to the industry experts whilst most importantly generating public support that will last for years to come. It is one of the highlights of our fashion calendar and this year - on 14 March - it will be showcased at the stunning Galmont Hotel & Spa in Galway City. FACE | PUCKER UP THIS VALENTINE'S DAY! ORMEDIC Lip Enhancement Complex Will Give You Perfect Lips for the Perfect Kiss! Whether you’re spending some quality alone time, attached to a special someone or “it’s complicated,” Valentine’s Day is a good time to focus on one of the hardest-working parts of your body: your lips. ORMEDIC balancing lip enhancement complex 7ml (€26.50) which quenches lips with hydration while calming and soothing damaged or sensitive areas. The ultimate anti-ager for lips, this non-sticky, clear and glossy solution can add up to 40% of moisture volume if you use it consistently. It also diminishes fine lines as well as helps reduce irritation after lip injections. Using this product can also enhance the effects of professional dermal fillers! Peptide complex: A messenger peptide for collagen renewal, retinoic acid like activity without irritancy. In vitro collagen stimulation by 350% and stimulation of glycosaminoglycan synthesis by 146%. Avocado oil: A nourishing, emollient organic oil that contains high amounts of Vitamin E and essential fatty acids. Ubiquinone: A super-powerful antioxidant that helps regenerate aging skin. May your lips be pouty and your kisses be magical! February comes from the Latin Februum, which has several meanings around the notions of cleansing, purification, renewal and regrowth. Although it is still cold outside, February also signifies the start of spring - with early daffodil buds popping up across roadsides and roundabouts everywhere. It is not surprising then, that many people come out of the wintery hibernation which is the month of January (granted, they’re probably all broke from Christmas and New Year festivities, plus they’re detoxing their livers after festive overindulgence) to begin their own kind of spring blossom - and a good old skin pamper after the wintery weather, central heating and dehydration from overindulgence is just the ticket. As Business of Fashion so brilliantly put it earlier today, last year’s #GoldenGlobes were something of a coming out for the #MeToo movement, with women eschewing the usual red carpet glitz for all-black ensembles to draw attention to Hollywood’s mistreatment of women. The campaign, plus fiery speeches at the ceremony from Oprah Winfrey and others, brought unprecedented attention to the problem and emboldened victims and activists to take on some of entertainment's most powerful men. One year on we saw some powerful and empowered women serving up strong looks on the red carpet. For me, Lady Gaga completely stole the show in her lilac gown by the house of Valentino - an homage to Judy Garland’s dress in the original A Star is Born movie back in 1957. I also loved Lupita Nyongo’s purple/electric blue number which looked stunning with its touch of sparkle. Julia' Roberts’ caped trouser suit and Susan Oh and Constance Wu’s dresses were worthy of note. HELP! If your skin hasn’t been able to keep up with your holiday spirit, please rest assured that you’re not alone! The end-of-year period can cause your complexion to get rough or lacklustre thanks to the sheer amount of hectic activity, processed food, central heating, travel and lack of sleep. Fortunately, the team at IMAGE skincare – a personal fave of mine as many of you know - have fast-tracked solutions for some of the most common pesky post-Christmas skin issues. Read on and get your glow back on! Apply this remarkable sheet mask that traps moisture with its special 3D design and helps potent active ingredients penetrate deeply into skin. With a refreshing and comforting hydrogel technology, this mask infuses volcanic water, brightening botanicals, peptides and antioxidants to reinstate your skin’s most relaxed, plumped-up look, while increasing hydration, reducing fine lines and wrinkles, brightening and rejuvenating skin. A perfect pastime this January when you’re bingeing on box sets! . Restore balance to your skin with this ultra-hydrating serum that brings back the equilibrium to your complexion. This luxuriously silky formula contains lactic acid to moisturize and refine skin, and with organic Japanese green tea, polyphenols and a copper-complex peptide to reclaim your healthy, dewy glow. Layer under your regular moisturizer or sunscreen for a revitalising boost. Whether you need to address an anomalous pimple or feel like you’re popping up with blemishes more often than usual, you can use this lightweight serum to help rebalance oily skin without dryness. This oil-free formula helps restore balance while providing a mattifying effect and minimizing the appearance of pores. Aloe and allantoin help calm skin so your winter skin woes aren’t exacerbated. Use this as a spot treatment on areas that tend to pop up with breakouts and moisturise over it for added protection against winter temps. I didn’t see Paul Boyd’s Alice: The Musical at the Lyric twenty years ago, but I can’t imagine it was anywhere as camp and colourful as this year’s take on the original Lewis Carroll tale - which was my favourite theatre experience this Christmas - because after touring the world for two decades, I can only guess that this production gets better with every performance. Just seven actors covered all the roles in this massive musical revival - and I have to compliment the nanosecond synchronicity in the choreography (well done Deborah Maguire) as well as truly West End-worthy singing and acting across the board. And although Ruby Campbell’s Alice and the icy /slash bonkers Queen of Hearts played by Allison Harding were both amazing, it was Mark Dugdale’s Mad Hatter and his caterpillar which enthralled me most. Both were absolutely en pointe. Christina Nelson also delivered a brilliant White Rabbit too, along with a few other roles between costume changes. And on that note - THE COSTUMES!! As a fashionista first and foremost, I totally loved Gillian Lennox and Erin Charteris’ interpretations of the original illustrations, with a bit of Studio 54/Rio carnival thrown in for good measure. Stuart Marshall’s set was pretty spectacular too, especially when you consider the same stage delivers the ‘grown up’ theatre performance Bah Humbug each night after Alice. All in all this is a truly Broadway-standard production and the big number finish left me baying for more. HUMBUG IS HILARIOUS - THIS YEAR'S LYRIC THEATRE PRODUCTION IS FAB! Grimes and McKee’s modern day Christmas Carol opening couldn’t have been more timely for me as, just weeks before, I had battled with my otherwise amazing other half because the last quarter of the year turns him completely business-obsessed and easily-impressed by the power of clients - some of whom are property moghuls who put profit before people. All that ‘networking’ until 4am at the Merchant or Malmaison rather than coming home meant that Michael Condron’s Ebeneezer character touched quite a sore nerve. The story in brief is that Ebeneezer Scrooge (played fantastically by Condron) is the richest property developer in Belfast and, like in the original Dickens’ novel, he is visited by ghosts of the Christmas past, present and future in an effort to show him the error of his selfish, miserly and profit-focused ways and to encourage him to share his time and resources with those who matter. Condron is brilliant as Scrooge - just as great on stage and in character as he had been earlier this year playing the twisted Pastor in Sinners. But each of the other actors (Grimes, McKee, Roisin Gallagher and Sophie Harkness ) was amazing in their myriad roles throughout the play, delivering script and form as varied as they come - and packed with jollity too. In short, Ebenezer is a real Scrooge type whose only gods are money and success and who abandoned his only family (a niece borne of his beloved sister who died in childbirth) in favour of these. The same miserly figure treats his staff abysmally, and swans around the city in his brand new Range Rover not giving a proverbial f*%k about culture (there were some good Cathedral Quarter jibes in there which went down with the Lyric crowd). The play tells the same story as the original, but with local relevance as well as a global (and important) message. There is plenty of great music too, with lots of rehashed classic Christmas songs and the odd 80s number. [And on this note, my only critique was the choice of the Conga as the whole ‘mood change’ music in the second act. It was kinda lost on me and I wished it had been different/better/something else, but that might have changed by the time Christmas comes around]. Sometimes I get bored of Norn Iron humour - and not because I’m one of those snobby arts people, but I just think we can do better than the clichéd ‘aye right, love’ // ‘yer da, my ma’ kind of script. However when it’s done right, à la Jimmy Young in his 1970s peak, our humour is frickin’ hilarious and Bah Humbug sets this tone brilliantly. Bah, Humbug! runs at Lyric Theatre Belfast from 17 Nov 2018 – 05 Jan 2019 8pm (17 & 18 Nov: £15). Tickets: £22.50, Concessions (Students, Unemployed & Under 20’s): £15, over 65’s any matinee: £15. 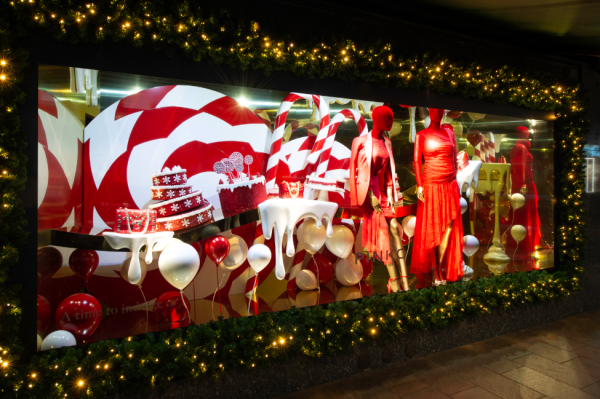 Just in time for Christmas, our editor Cathy caught up with NI export and super creative Gemma Baudeville who looks after some of the most chic shopping windows across the world… Harrods? Check. Dior? Check, check, check! I’m Gemma, 34 years old and living in London. I’m very single (it’s impossible to meet men in this city!) but like it that way. I grew up in Belfast and then Newtownards, in a naturally creative family, (we get it from my mum), I have always been very committed to anything fashion - making quite a few bad sartorial decisions in my time! Right now I am Head of Creative Retail for Millington Associates – a design and production company in London specialising in creating brand experiences – creative moments to inspire consumers. We work with the world’s biggest brands, Nike and Burberry are two of our biggest clients and I personally manage the likes of Harrods and Christian Dior. I went to Our Lady and St Patrick’s College in Belfast, and dramatically decided uni wasn’t for me 1 week before I was due to start. I had fallen out of love with Art at that point and the way it is taught in the curriculum. I don’t feel as though the opportunities in creative careers are discussed as widely as they should be and I found it all too traditional. I moved to London to pursue a dream 6 years ago, that dream was simply to make something of myself that my parents and I could be proud of and to wake up every morning wanting to go to work! I am living my dream now and loving it. And am glad to show that university isn’t always the path. Tell us the career path - what took you to where you are now? I went from job to job trying to find my way, anything from a phone shop, a fashion retailer, to a bank, learning customer service as I went. An old friend and previous manager called me to ask me to apply for Apple and that’s where my understanding of superbrands really developed. Living and breathing their ethos everyday was invaluable to what I do now, applying myself to a brand’s mindset. I never did it for the technology- I admire Apple and how they have made their mark. I took the opportunity to move to London and I haven’t looked back - ready to forge my way back into a creative career, I spoke with various recruiters and kept turning down interviews in I.T. and finance until I landed in my dream role @ Millington Associates. I do genuinely believe the stars aligned for me somewhere and my graft was recognised. After 3.5 years at Millingtons, I am now Head of Department and sit on the Board of Directors – it can happen if you commit! Any highs or lows in there? So many! I wasn’t a traditional student, I guess I was a bit of a rebel in the eyes of my teachers as I didn’t want to follow the career paths they suggested for me. I had no one to turn to for advice on achieving ‘crazy’ dreams like becoming a textile designer or working in window creation. When I ditched Uni I felt like I was letting everyone down. I do now think there was a path for me, I had to learn lessons along the way before I was ready for a job like I have now. I think my proudest moment was standing on Hans Crescent outside Harrods this Christmas – it was 2am, pouring with rain, and I had just watched our Christmas Tree be lit up, our windows revealed, I had a pop up being installed for Dom Perignon and the grotto was knee deep in installation. It was 5 months of hard work but hey, did I achieve a dream come true!? Advice for anyone new starting out in this area? Study the brands you want to work with, learn their aesthetic, what makes them tick, what makes them unique. Contact production companies like ours and show your passion – a well written email and CV goes a long way. What can you do to make yourself stand out? Start as crew/ an assistant and work your way into the area you want to be. No job is too big or too small for any of us, I’ve climbed in many a window to fix some snow and made 1000 cups of tea but I will say this: DON’T WORK FOR FREE - you are a creative and you deserve to be paid for your work. Working in collaboration with Harrods and the paper artist Zoe Bradley we created a chandelier to hang high above the heads of Harrods visitors for their ‘Social Butterflies’ campaign. This is a complex and nerve wracking task but it was a joy to work on, Harrods are a super supportive client and Zoe is an amazing artist, because of Harrods fire regulations Zoe couldn’t complete the design in paper so they commissioned us to create her work for the very first time. It looked sensational! I may be biased but I think Dior Parfum @ Harrods nailed everything we love about Christmas this year. I could feel the excitement building when it was being built in our studios and when I see people taking photos and videos outside Harrods my heart gets fuzzy! [Cathy: And this is how we connected, I did just that and shared a video of the Dior j’adior window in Harrods on 30 November!]. The whimsical nature of using paper like structures, the glint of gold, movement in the London Eye and for me the subtle gifting aspect is what Christmas windows are all about, white is unforgiving so the finish had to be perfect. As a consumer I don’t want to take pictures of a window that feels product heavy, these windows perfected that- making the product a part of the magic. It evokes emotion in Londoners and visitors with the iconic buildings yet feels like that peaceful Christmas day in a city. What are your top tips for decorating a chic home this Christmas? Switch up your lights, add a few different size sets to really add magic. I have one set that twinkles and another that is static so it doesn’t feel as much like you are at a rave! The new style of little lights on a thread go a LONG way. I decorated huge blossom twigs with them to close in the living room and make it feel like a winter wonderland. If you are doing a colour theme, keep pictures of your already purchased decorations on your phone to marry up the colours, I bought one bauble that was way too pink in haste so that’s gone to the back of the tree! Switch up tone, I have some coral in there and then paler champagne. Buy a bauble every time you visit a new destination, your tree will be full of memories of good times and each decoration will tell a tale. I only started this recently but I am so excited for my tree in years to come. My parents’ tree gives us all that feeling of home due to the stories that hang from its branches. I learnt from my sister that eucalyptus makes a Christmas so fill your house with it, tie your napkins with a sprig and add it to the bows on your gifts. A few days before Christmas rinse your local florists of foliage and berries, add these into your tree for a really fresh look. There you go guys - get ready to sparkle! Cold weather, snow and grey sky – that doesn’t sound so inviting, right? But, a warm and comfortable living room where you come back after hard day’s work – that surely sounds delightful! You don’t need to spend big money to turn your living room into a comfortable area for hibernation during weekends. Even though it’s cold outside, you can add a few romantic and warm touches and turn your living room into a magical wonderland! Along with low temperatures, snow and wind, winter is also known for grey days, when the sun is stubbornly hiding behind the clouds. That’s why you will need some extra lighting in your home. However, be careful not to use too many or too bright lights! Your living room should be like an oasis where you can relax, drink a cup of coffee and nibble on chocolate while you are watching your favorite movie on TV. Therefore, consider getting warm light bulbs or even put string lights close to your couch. String lights are not just New Year’s decorations – they can be a great way to set up the atmosphere for a romantic dinner with your sweetheart. And, if you want to make your living room more alluring, then light up a few candles too. The Christmas tree and decorations are back in the box and you can’t help but feel a bit blue about it. Who says you have to take all the decorations down? Actually, you just need to adjust them a bit. Fake snowballs can look beautiful hanging in garlands over your firelight mantel or inside the basket on the table. Put some cinnamon sticks, pine cones and vanilla grains inside a Mason jar and you will have a timeless decoration with a wonderful scent for your table in the living room! Wrap a piece of cloth at the end of a fir branch, tighten it with a silver or gold ribbon and place those tiny ornaments on your shelves. Nothing feels better than having your feet warm all day long. Underfloor heating is a great option, but just isn’t visually enough, right? If you have wooden floor tiles, then half the job is already done. Now all that is left to do is get yourself a few fluffy, soft round rugs and spread them all over the floor. The best part is that you will be able to sit on the floor as well and enjoy a glass of wine in front of the fireplace while you’re comfortably leaning on a couch. If your living room is painted white and you can see snowy hills from your window, it is time to break that frostiness with some colors! Get vibrant blue, red and gold pillows and spread them on your couch. Add a light beige, soft blanket at the edge of the couch so you could keep your feet warm while you are munching on popcorn and reading a book. If you are a book lover and have quite an impressive collection on your shelves in the living room, then it’s time to give some final, traditional touch to it. Bring in an upholstered armchair and place it in front of your home library. You can make it even more beautiful by having a small pillow and a blanket in the same color close by. Once you choose a book for this afternoon, sit down, sip on warm tea and relax. One of the things that remind us of winter and the holiday season the most is a knitted sweater, but who says that it has to end with that? Surround yourself with knitted stuff in your living room as well! Instead of an ordinary blanket, snuggle under a knitted one. When you are sitting in your armchair, rest your tired feet on a knitted pouf. And, by all means, wear your favorite knitted sweater! Even though it feels that winter will last for eternity, it just isn’t so, and if you do all the things mentioned above then you may actually enjoy it and prolong that holiday atmosphere until spring comes around. 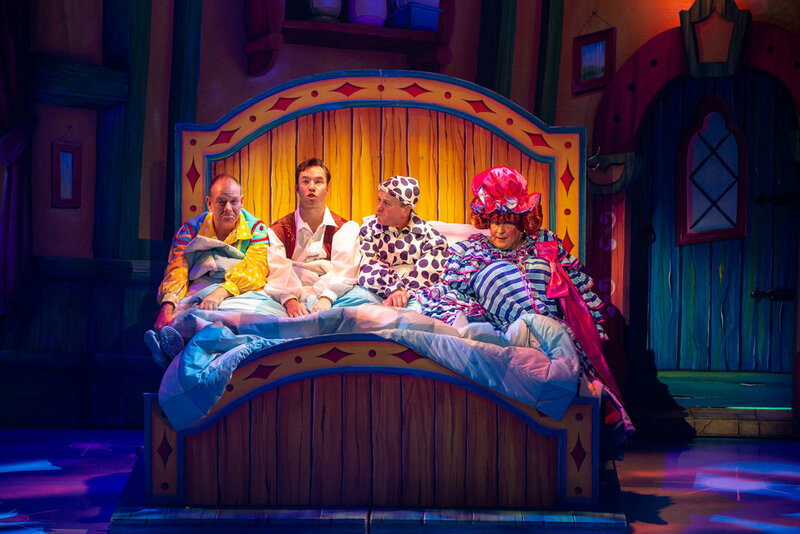 THE GRAND OPERA HOUSE PANTO IS THE GRAND DAME OF CHRISTMAS THEATRE IN BELFAST… OH YES IT IS! Jack and the Beanstalk at the Grand Opera House is so good I’ve seen it twice. Jack and the Beanstalk is SO GOOD, I’m writing this twice! I’m literally just home from watching the Grand Opera House’s panto for the second time in as many weeks and I was delighted to see many regulars from the GOH Panto stage take to the boards again this year. John Linehan’s May Trott character is of course the comedy hero - and this is his/her 29th consecutive panto. What a run! Joining May is the double Olivier award-winning actor David Bedella as pantomime’s ultimate baddie, and the giant’s henchman, Fleshcreep. David played the role of Captain Hook in Peter Pan last Christmas, seen by over 75,000 people during its six week run (and I loved the jovial jibes from May and co when she teased him as he sang ‘My Way’ just before his on-stage demise, saying he sang it last year). I cant fail to mention Paddy and Simon, also, who were both wonderfully present and very funny on stage too. My six year old and friends absolutely LOVED the music - some Greatest Showman numbers mixed with the usual bouncy pop classics, perfect for kids full of delish Dale Farm ice cream and mums seeking a bit of nostalgia in the score. They also loved the characters, the lights, the sounds, the animals, the big choreography as well as the splashing and the audience cam. But as a wordsmith by trade, I must say that it is very cleverly written too; my favourite part is the tongue-twisting dialogue about Susan (or was it Sharon?) selling Sushi on a Saturday, which makes no sense on its own, but which is woven into the script perfectly. As usual with panto, there are multiple levels of humour, plenty for the kids and some most definitely for just the grown-ups. And proper order too. I also loved the totally slapstick ‘If I were not in Pantomine’ skit towards the end, again superbly well written and choreographed to nano-second-synchronicity. The kids sang it all the way home, adding in their own future jobs with actions. I shant say any more for fear of spoilers, but in short this is West End worthy theatre in the heart of Belfast - all wrapped up with pyrotechnics and a big chopper like I’ve not seen since Miss Saigon plus a wonderfully 3D scary giant who had little kids around us screaming. As for me, I’m one of over 1000 people to have booked for December 2019’s Beauty and the Beast already. The Grand Opera House panto really kicks off Christmas for me and I hope it’s a tradition I never give up. As some of you know, I’m just back from 10 days in China where I trekked the Great Wall and conquered some pretty big challenges. On my last day I was let loose in Beijing and discovered some fab beauty emporiums (much needed after 7 days in the dust and wilderness) and these beauty meccas were led by Korean skin experts - I was in heaven! When I returned I found a sample of the fab new Erborian This is the Hand hand cream, which launches this month. This new hand cream from the Korean-Parisian house of Eborian is perfect for colder winter days as it is packed with anti-ageing, nourishing and smoothing ingredients including White Ginseng Complex and Shea Butter. Of all the ginsengs, White Ginseng is the most exceptional. 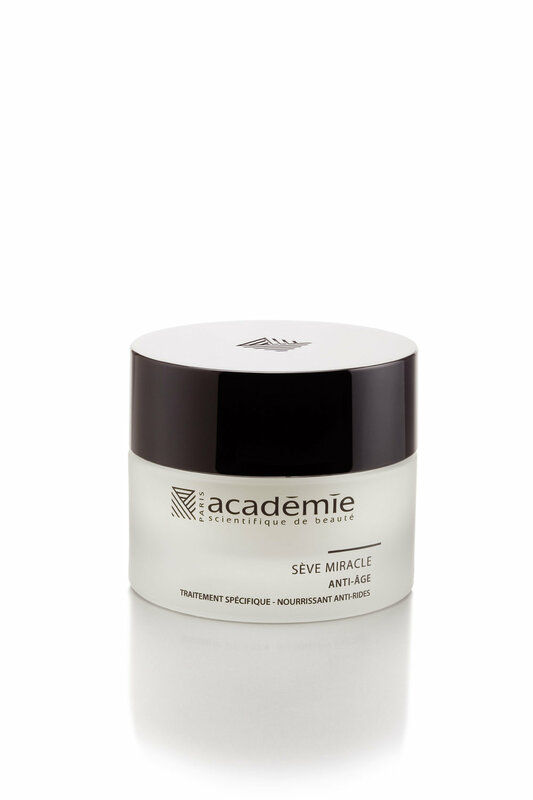 It is known to prevent he appearance of signs of aging, moisturise and repair even the most fragile skin. The cream also contains liquorice root, wild yam root, kigelia fruit and horsetail to protect the skin. A perfectly affordable Christmas gift or stocking filler at just £9.50.